Annoying toys are a part of being a parent, but the latest craze might just be crossing the line. 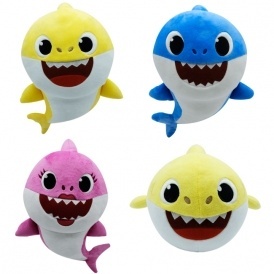 Just in time for the holidays, there’s now a line of singing Baby Shark plush toys. The toys play the viral “Baby Shark” song every time kids press the little button on their fins. The toys retail for $17.99, though they’re going for much more from third-party sellers after the first batch sold out in just three days. That was a presale batch, though, so don’t worry: More should be on the way.